hd00:17Hairdresser Combing And Cutting Dark Woman Hair With Scissors In Light Hairsaloon. Close Up. You Can See Part Of Saloon On The Blurred Background. 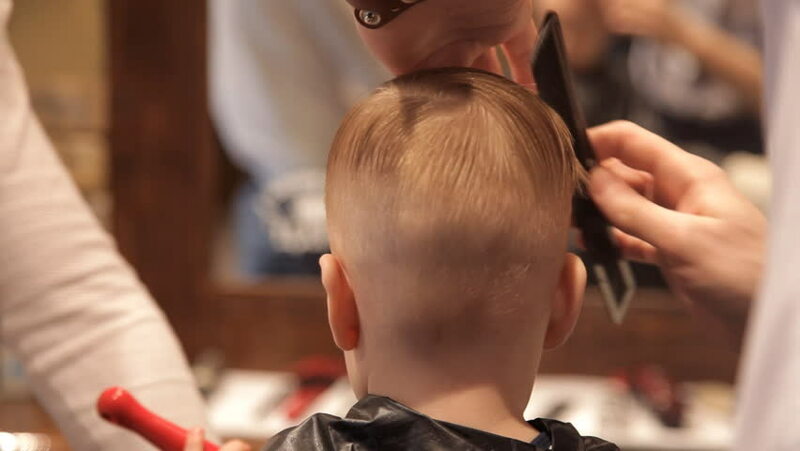 4k00:25Close-up of a female barber doing a haircut with scissors and a hairbrush for a boy. Haircut children's hair at the hairdresser.